If the Jazz’s first two games of the season were laps around a Formula One track in a McLaren, Monday’s game against the Grizzlies was a slog through several feet of mud in a 20-year-old Land Rover. One which apparently had nothing above second gear. 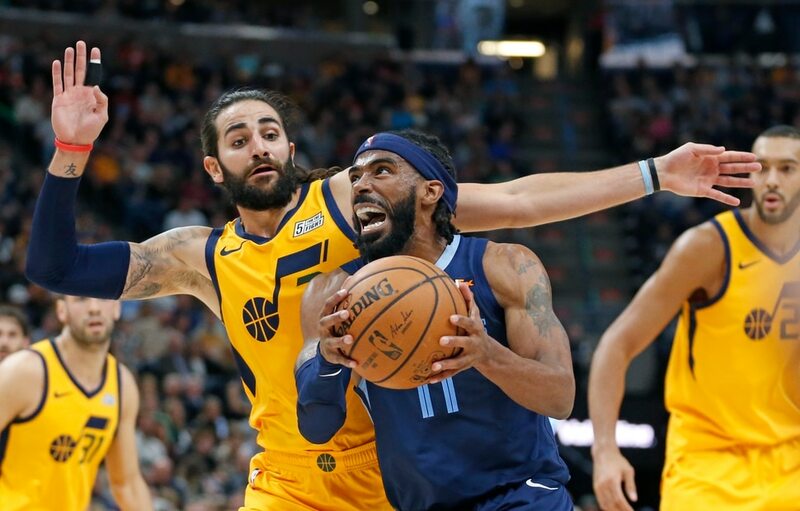 Memphis’ grit-’n’-grind style dictated the pace all night, and the Jazz — reduced to stilted, out-of-sync halfcourt sets — dropped their second game in a row, 92-84 at Vivint Smart Home Arena. After scorching the bottom of the nets to start the season, the Jazz shot just 35.4 percent from the field for the game, and just 25 percent on 3-pointers vs. the Grizz. Grizzlies point guard Mike Conley scored a game-high 23 points. Jae Crowder led Utah with 15 off the bench. Jazz guard Donovan Mitchell’s early-season struggles continued, as he scored just 14 points on 6-for-17 shooting, including going 1 of 7 from 3-point range. Compounding the problem is that he didn’t get the help from the supporting cast that had been the hallmark of the first two games. Joe Ingles, who came into the matchup averaging 24.5 points per game while shooting 70.4 percent from the field and 64.7 percent from 3-point range, found all of those numbers unsustainable — as he finished with just nine points on 4-for-13 shooting overall, including 1 for 7 from 3-point range. In Utah’s first two games, against the Kings and Warriors, Utah proved a surprise on both ends of the court — averaging 123 per game, while allowing 120.5. Last Friday night vs. Golden State, the Jazz rode a wave of incendiary shooting to 47 points in the second quarter alone. By the end of the second quarter on Monday, they had just 46 points total. 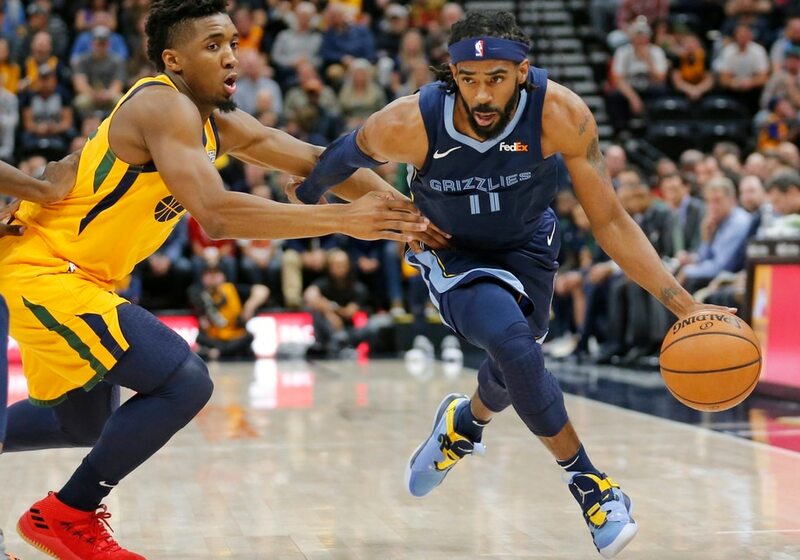 Memphis’ physical play limited Utah’s fast-break opportunities and forced Utah to resort to a multitude of halfcourt sets which, while not out of character for a season ago, seemed borderline antiquated in this new “freedom of movement” era. But every Jazz foray into the paint was met with a weakside defender rotating over, thereby daring the Jazz’s 3-point shooters in the corner to make their open looks and beat them. They could not. And they could not. It was apparent from the outset that this game might more closely resemble Utah’s second half from the Warriors game than the first half. The Jazz’s first possession saw a Mitchell pass to Derrick Favors go wide of the mark and out of bounds. The second possession saw pass after pass around the horn lead to nothing open and culminated in Ingles rushing — and clanking — a 3 just to beat the shot clock. Utah led the Grizzlies 22-19 at the end of the first quarter, but made just 8 of 24 from the field — and only 2 of 9 from deep — in doing so. Flustered at their inability to get the looks they wanted, the Jazz resorted to all sorts of randomness in vain attempts to see the ball pass through the net: Ingles eschewing 3s to take herky-jerky midrange push floaters; Dante Exum — a star on the second unit in Games 1 and 2 who managed just four points on 2-for-11 shooting Monday — even tried to back down Shelvin Mack in the post. The Jazz’s defense, at least, looked all the better for being drenched in sludge by game’s end. The Grizzlies were limited to just 36.9 percent shooting overall themselves, and made just 9 of 28 tries from deep (32.1 percent). Conley’s 23 came on 6-for-20 shooting, and he went 0 of 10 inside the 3-point arc. 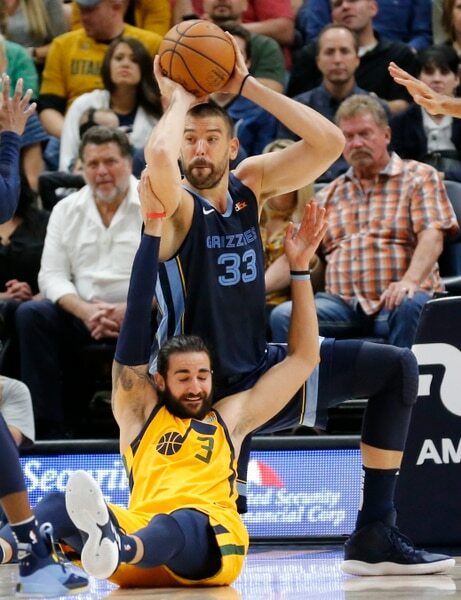 Marc Gasol, an early terror, with his 3-point shooting drawing Rudy Gobert progressively farther away from the lane, wound up with 18 points and 13 rebounds — but on 6 for 15 from the field. Gobert finished with 11 points, 12 rebounds and a pair of blocks. Snyder came away feeling the defensive effort was good enough to win the game — if only the offensive effort had come anywhere close to matching it.